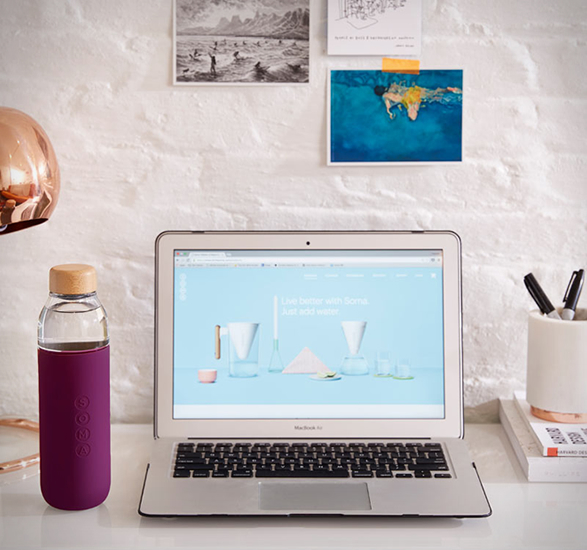 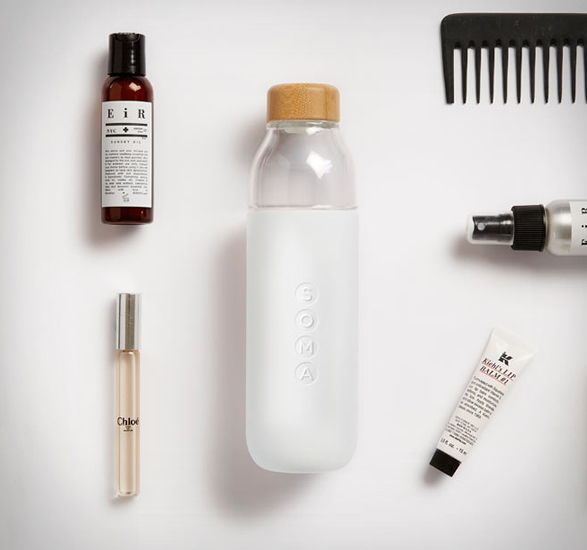 Remember the Soma Water Filter, a beautiful, sustainable water filter that delivers crisp, clean water, with minimalist good looks? 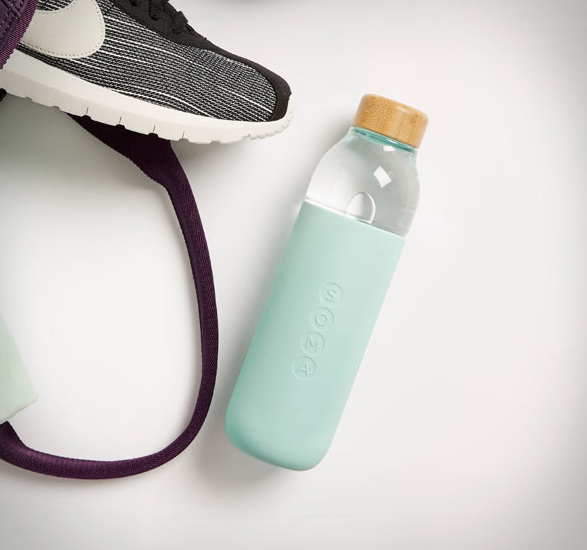 Now the brand has gone beyond the pitcher with this new water bottle. 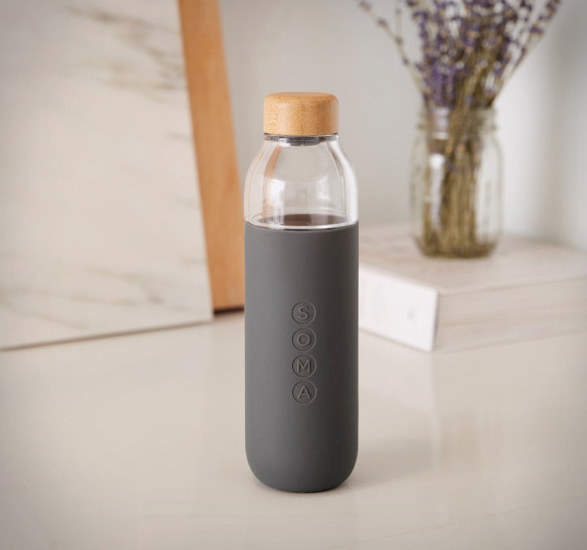 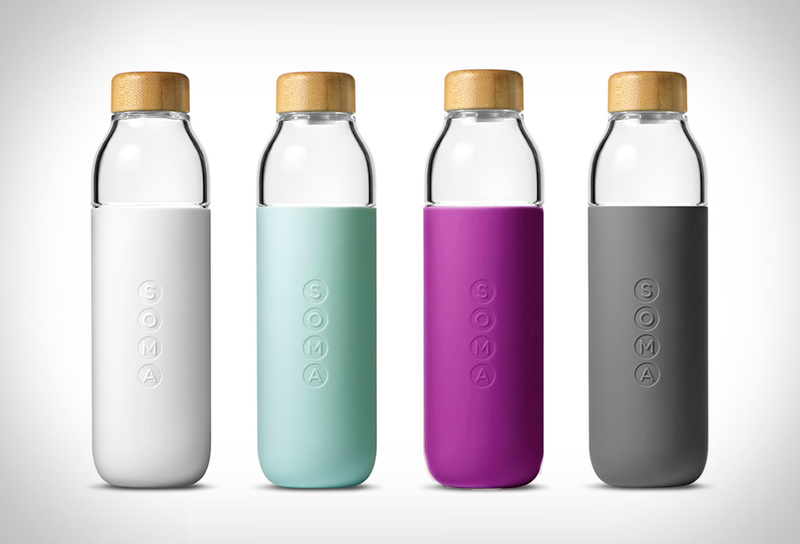 The 17oz Soma Bottle is focused on sustainability and minimalistic aesthetics, it is made from high quality, lightweight, shatter-resistant glass, with an easy grip protective silicone sleeve, and a cap made from sustainable bamboo. 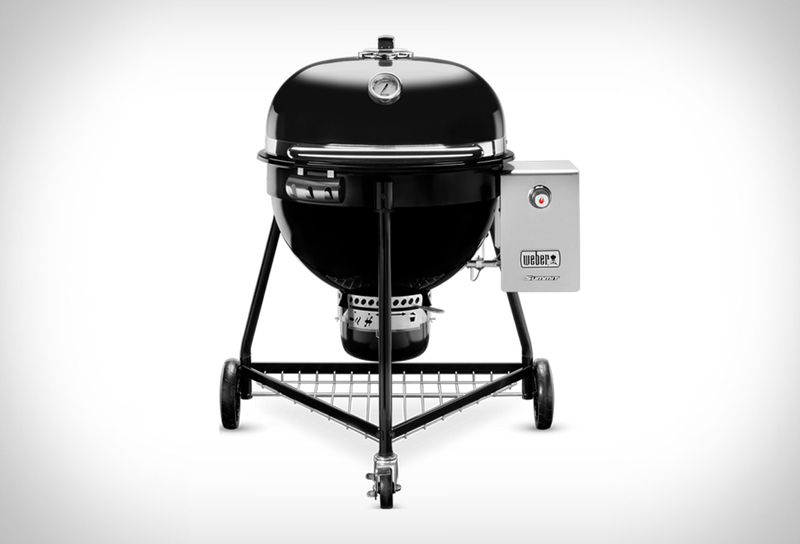 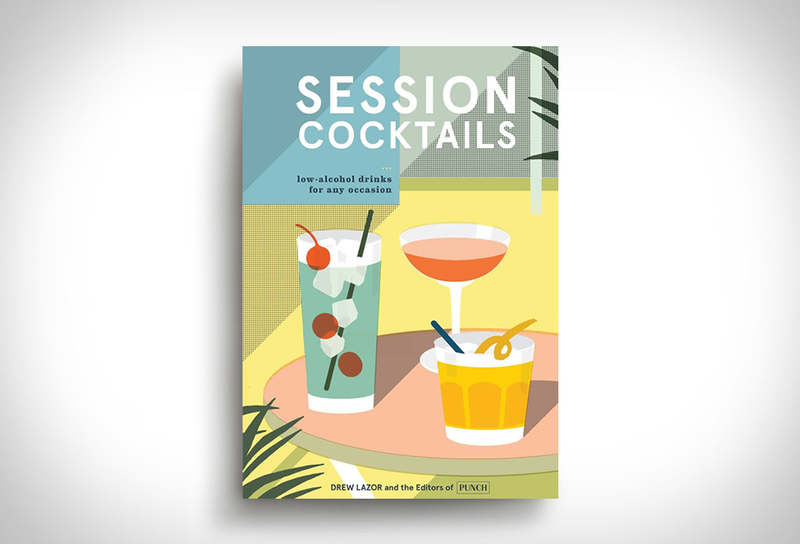 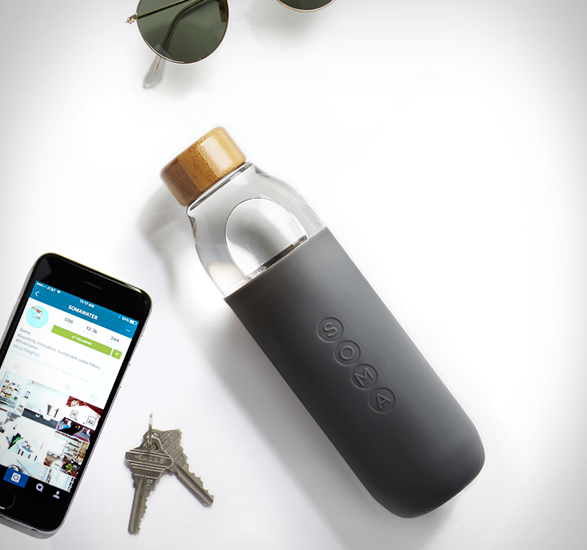 It’s perfectly designed to fit into your bag and your cup holder, and for every bottle sold, the company donates a portion of its profits to Charity Water.